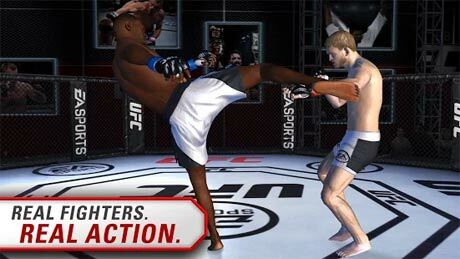 UFC is a sport game for android. Step into the Octagon® with EA SPORTS™ UFC ®! Collect your favorite UFC fighters, throw down in competitive combat, and participate in Live Events from the real world of the UFC. Choose from over 70 UFC fighters – from icons like Jon Jones, to up-and-coming stars. Earn coins and open packs to upgrade each fighter’s unique set of special moves. Climb through the ranks of the UFC and beat down the competition in each of the 4 weightclasses. 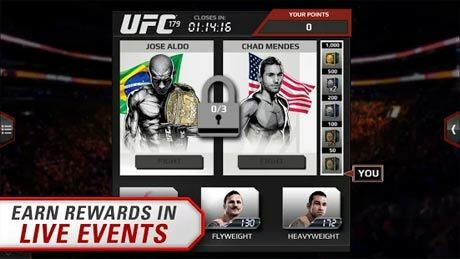 Earn awesome rewards with every pulse-pounding match, and face off against UFC icons in decisive Title Fights. Compete on your own and against your friends. The action keeps coming in Live Events that coincide with the real-world of the UFC. Its an online game and it’s not modded. REVDL DOES IT HAVE UNLIMITED MONEY? I have download the data and place it in folder obb, but i cant play offline. Please clarify it is on line or off line. i downloaded it,.but it needs to be online to be play,.